They are used widely in mechanical testing, ongoing system monitoring, and as components in devices such as industrial scales. 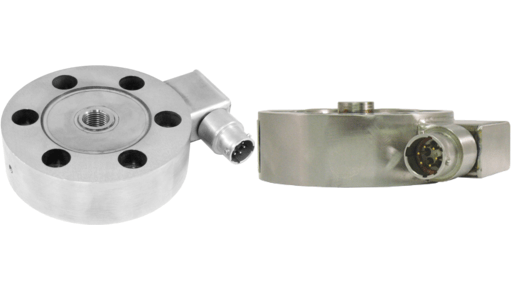 Load cells are in essence just another term for force gauges, which can be made up of two kinds of sensors, in a variety of industries. Any company that needs to measure heavy loads, such as pallets of goods for shipping in industrial manufacturing, building materials in construction, and mass amounts of ingredients or packaging in food processing companies, requires the use of these load cells. The two types of sensors utilized most often are strain gages and piezoelectric sensors, the first made up of metal coils and the second made up of crystals. They gather the information of force and translate it into electrical currents or signals that can then be read through analog or digital output. Specifically, the strain gauges are deformed by the weight of the pressure, be it a separation stress like the tension load cell specializes in measuring, or a pushed together stress like the compression load cell is made to measure. The crystals of the piezoelectric sensors are electrically neutral, but create a current when stress is applied. By gauging the amount of stress and the type of stress by the strength of the crystal reaction, a load cell or force gauge utilizing piezoelectric crystals can get a very accurate reading. 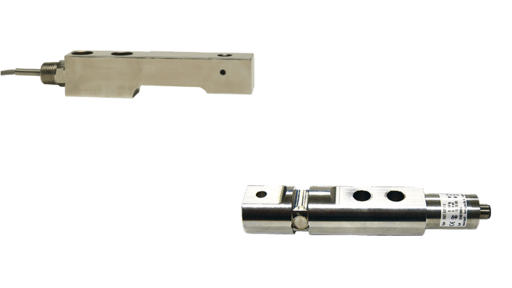 The main purpose of force gauges is to measure levelness and tension in load cells. The information they monitor is then signaled to a recorder or other computerized data collection system for further analysis. The two basic components of a load cell are the sensing element and the circuit. The sensing element is often the force gauge and the circuit is the connection of these gauges throughout the load cell. Load cell outputs include analog voltage, analog current, analog frequency, switch or alarm, serial, and parallel. The most basic designs consist of four gauges, which make up the measuring circuit. The connection between the four gauges is what makes up the circuit, which is also what connects to the analog or digital read out. More complex and detailed cells can have up to thirty gauges as part of the measuring circuit. The more gauges inside the load cell, the more sensitive the cell is in recording and monitoring variance in measurement. Force Gauges Force gauges are measuring devices exactly like load cells, which monitor and gauge compression, tension, and shear forces.